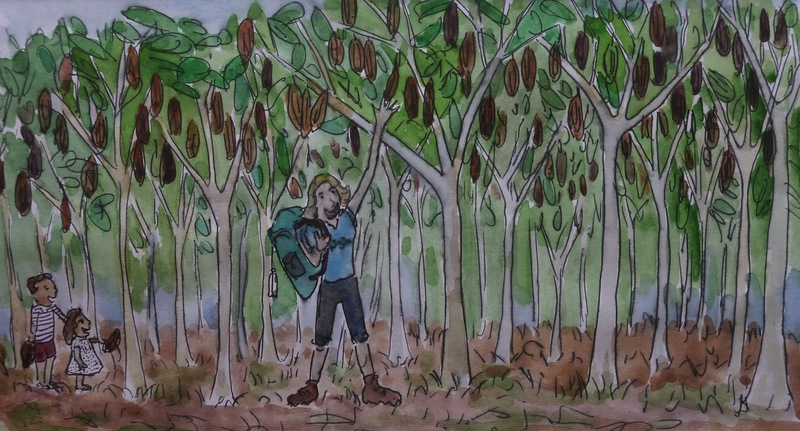 “Julieta y los cacaoteros” is a drawing by my talented artist sister which she produced to mark my trip to Peru. Last year, Zoe set herself the challenge of drawing a picture every day. And what’s most impressive is that Zoe kept it up (almost) to the end of 2011! Take a look at her fun pictures on her blog called 365days365drawings. Inspired by Zoe’s determination and self-discipline I am also setting myself a challenge while away. In my case, however, it will have to be “not a week without posts”.